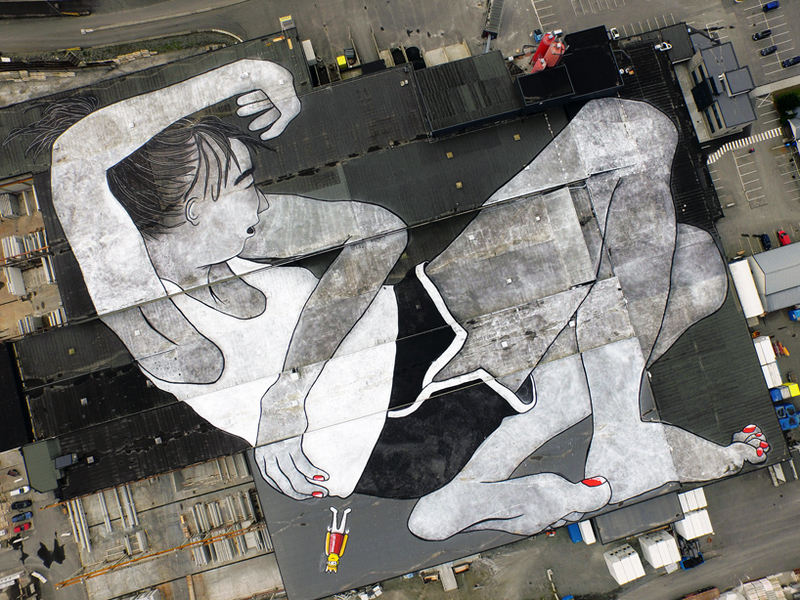 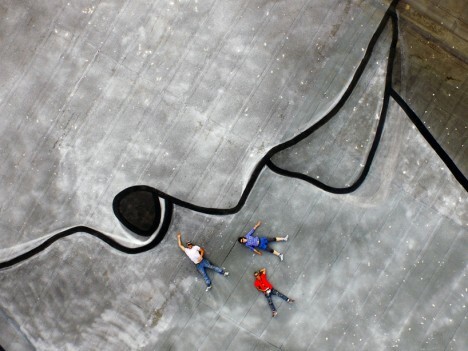 Spanning the massive multi-building rooftop of a construction company, this black-and-white mural of a lounging girl might just be the largest ever painted. 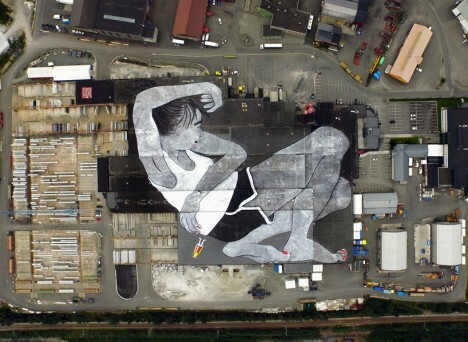 Commissioned by French duo Ella & Pitr for Norway’s Nuart Street Festival, the painting takes up an incredible 21,000 square meters, and in overhead photos, nearby cars look like toys. 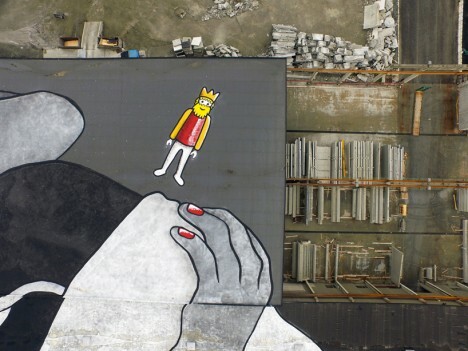 Entitled ‘Lilith and Olaf,’ the mural depicts a girl lying on her side with the figure of a crowned man by her side, representing King Olaf I of Norway, who ruled the nation from 995-1000 and was born just a few meters away from the site. 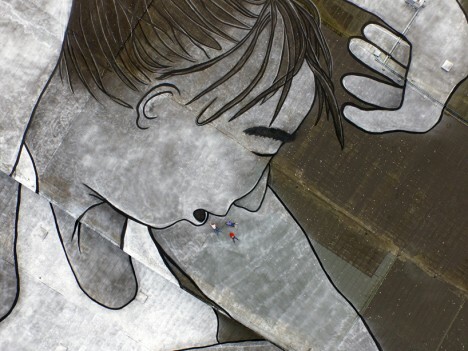 Her red toenails and the king figurine are the only spots of color in the scene, unless you count the three living people that can be seen near her mouth in the photos. 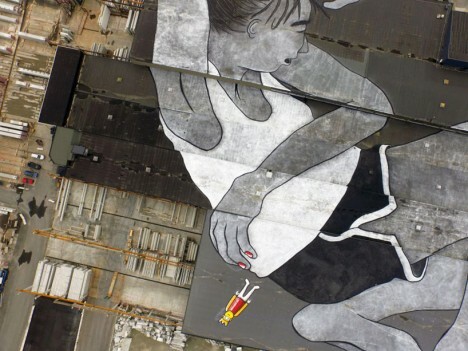 Though it was created for the festival, most attendees will never see it, as it can only be viewed from above. 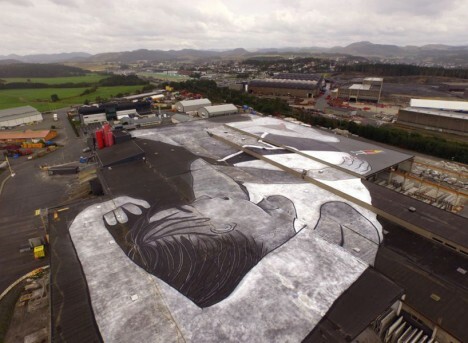 This might seem limiting, but thanks to the building’ location adjacent to the Sola airport, thousands of people traveling to and from the area can glimpse it from their airplane windows.